This is a very short article about a judgement that just occurred about an incident in 2015 where several people tried to halt the building of a fracking pipeline. I found many versions of the information when I googled it, but not one of them was a major mainstream media organization. Maybe they don't think it's news? the biggest was The Independent of UK. Here's Democracy Now's version (easier to copy). 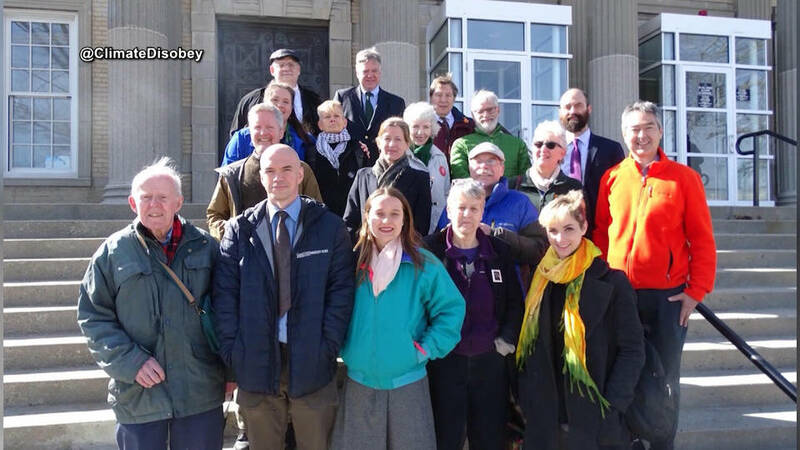 And in Massachusetts, a judge has found 13 protesters "not responsible" after they temporarily halted a pipeline's construction by nonviolently lying down in a trench being dug by Spectra Energy to carry fracked gas through West Roxbury. District Judge Mary Ann Driscoll made her ruling after the protesters argued the "necessity defense"—saying their civil disobedience was justified by the urgent need to stop climate change. Among those arrested in the civil disobedience was Karenna Gore, the daughter of Vice President Al Gore, who spoke on Tuesday after the ruling. Karenna Gore: "What happened today was really important. We had a long and winding road, but, essentially, the people that put themselves in the way of building this fossil fuel pipeline were found 'not responsible' by reason of necessity."